When I first started running in Pacific Spirit Park I had no idea where I was going! That's why I made a pocket trail map so I wouldn't get lost. 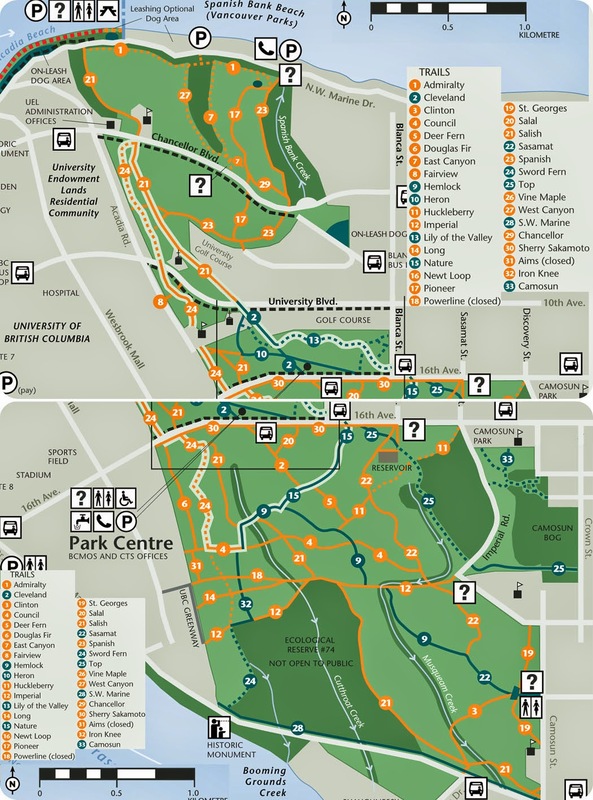 I still got lost once after that, but only because I didn't have my trusty trail map of Pacific Spirit Park! Here is a copy of my pocket trail map so that you too can stay safe in the forest. Just remember to have it with you! You can download a high-quality pdf version here. Just print it out, cut around the outside, fold in half and tape (for water protection)! Always remember to run with a buddy and have a cell phone for safety.